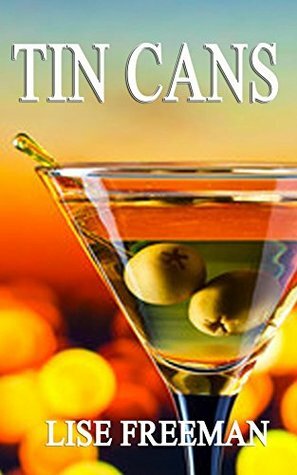 Tin Cans, set in Delray, Florida is Lana’s story, a woman with a big heart who does more for others than herself. Lana sells mobile homes and although it is not making a profit she doesn’t want to close down because no one would want to hire her staff as they don’t fit in anywhere else. It’s entertaining from the word go. We are taken into her life and share her love, loss and her secrets. We meet Lana at the moment in her life when things seem to be going alright. Her business is progressing, there is an upcoming family reunion, yet she is also dissatisfied and cannot quite figure out why. Additionally she is frequently plagued by elevator dreams that appear to be trying to tell her something. “Then why do I not feel satisfied, why do I feel restless? Shouldn’t I focus on taking my business to the next level instead of looking at other paths to take? There’s a lot of laughter and fun throughout with not a moment to feel bored. The characters are all likable. What I found interesting was that Freeman has given equal emphasis to each character making them stand out and giving them a place in the spotlight. There are the larger than life characters like her mother, Jillian her blond bombshell neighbor, and cousin Tedi, also her business partner, as well as the less seen characters from her office like Mike, with his wooden leg. They are all well rounded. Everyone’s personality shines through, even Cher who makes many appearances throughout the story with songs to mark every occasion in Lana’s life. The story is evenly paced, the dialogues are interesting and very real. Freeman has a nice style of writing. Reading a good book is like travelling to a different place in time and space. Tin Cans makes it easy to get transported to a different world. I could almost see myself soaking up the fun and getting in with all the crazy things Lana and her posse do, although I’d settle for the iced mocha lattes instead of the many martinis. This is a book you should read if you want to be entertained.